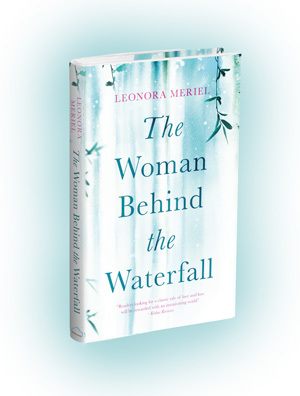 It has been one year since I launched my debut novel The Woman Behind the Waterfall in a Waterstones bookshop in London. 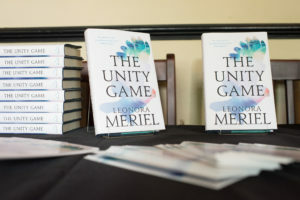 The launch party and book release culminated months of hard work and discovery, climbing a steep learning curve of knowledge about the self-publishing industry. Why did I choose to go independent? My debut novel had caught the attention of a London agent, who passionately believed in it and sent it to the top publishers in the UK. 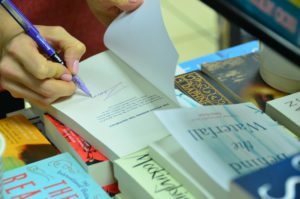 She shared the responses with me as they came in – ‘beautiful, but not for me,’ ‘wonderful writing, but not right for our list,’ – each of them had a reason to not accept it for publication. As someone who had founded and run a business, and had an MBA, I knew that publishing, like any industry, needs to make money. Many small presses have gone out of business publishing too many books with wonderful writing and little commercial appeal, and the bigger publishers have enough pressure on them to rigorously say no to any manuscripts that threaten to lose them money. So that left two issues to contend with: the quality of the book, and the commercial viability of the book. On the quality issue, I had been sufficiently reassured by my agent’s reaction and the positive words of the publishers. So far as commercial viability, my novel was experimental, speculative, and attempting to be a piece of literature different to anything that had been written before. The only market it could appeal to was passionate, eclectic readers who enjoyed new and challenging fiction. That’s not a big group. But it was my risk to take – and I decided to take it. Publishing your own book takes a large team of professionals. My cover designer had worked on covers for one of my favourite writers – Haruki Murakami. I loved her work and she agreed to take on my project – and even read the book first so she could get the tone right. My editors and proofreaders were top industry professionals freelancing for independent authors. The book distribution service I chose was used by the biggest publishers in the world and set up my book (on-line, at least) in thousands of book shops around the globe. It was an intense and revelatory journey as I discovered each stage of how to publish and prepare a book for market. In a few months, I had to become a one-person publishing company, and assemble all the departments: design, editing, marketing, sales, distribution, social-media and more. There were plenty of mistakes to make, and plenty of money to be lost by making wrong choices. I’m happy to say that most of this journey was smooth. The main key to success was in doing a large amount of on-line research, and then, as a first-time publisher, taking the safest course. My expectations had been very modest. 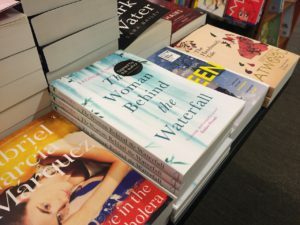 While I believed that my debut novel was well written and deserved readers, I did not think that it would make much of an impact or get much notice. I was pleasantly surprised. 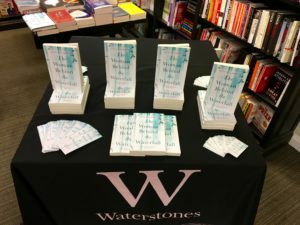 My local branch of Waterstones (the largest book chain in the UK) was incredibly supportive. They ordered copies of the book and held the book launch there. A nearby, and much bigger, branch of Waterstones then ordered the book for their Christmas tables and recommended it to customers. 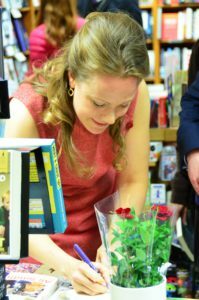 A month later, Waterstones had stocked my book in over 20 stores from Glasgow to Oxford. And then the very best part happened. 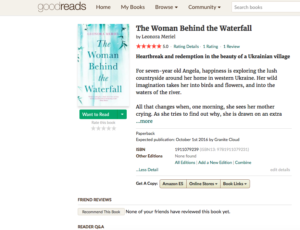 People started to read the novel, and started to write wonderful reviews. Some readers contacted me over Twitter. Some sent e-mails. Some reviews just appeared. One of my favourite ones was a simple line on the Kobo website from Anabel: “Enchanting and special. Loved it. Hadn’t been so into a book for a long time.” (Anabel if you ever read this, send me an e-mail and I’ll post you a signed copy!) 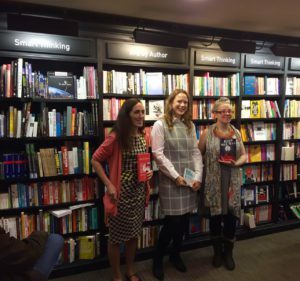 I had spent 5 – 7 years of my life on my debut novel, and had asked myself countless times: Is it all worth it? The answer to that question came with the reviews and with communications with readers. Of course, plenty of people didn’t like the book. The majority of people don’t enjoy speculative, experimental literary fiction. But I am perfectly happy with that. I know that there have been enough readers who truly loved it for me to say: Yes – it was all worth it. As the months passed in my newly-launched career, I began to understand the really special things about this path. 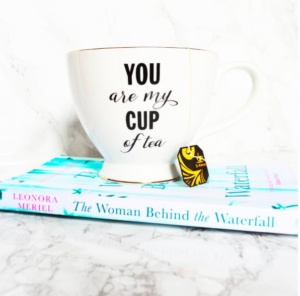 I have mentioned readers, who are far closer and more accessible to independent writers, as we have to put ourselves in the frontline for all our marketing work. Another special thing is the community of writers. Independent writers are, for the most part, creative people forced to survive in a business world. And they really help each other. 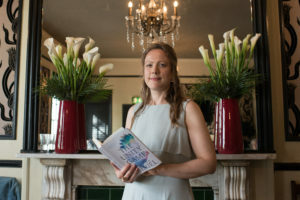 I became a member of the Alliance of Independent Authors (ALLi), I connected with hundreds of writers on Twitter and in Facebook groups, I met many at networking events and book launches. Each one had a different path they had taken and a different skill set and tactic box that they shared generously. The fact that no one pays you the large advances that might carry you through financially to the next book. I’d hazard that less than 1% of independent writers don’t work a second or third job. But these are small things! Being self-published in 2017 means being at the very forefront of a transforming industry – we are the change that is happening. The methods we come up with to sell and promote and design our work will become the standard in 10 or 20 years. The publishing world is slowly opening up, doors are being forced wide, and soon, the only evaluation of a book will be on its quality, not on its commercial potential, and not on its publisher name. 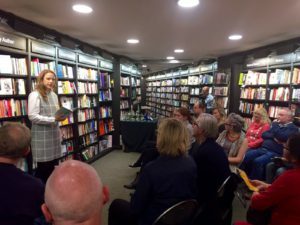 One year after self-publishing my own novel, I am a passionate advocate for independent publishing and the wide, warm, wonderful journey and rewards that come with it. Mari Reiza – writes extremely sharp-witted and keenly-observed satire. My favourite is West B’Egg. Jane Davis – writes literary fiction and has won several major awards. An Unchoreographed Life was lovely. Karl Drinkwater – writes horror, literary fiction, suspense, thriller and more. Cold Fusion 2000 is on my list. Saiswaroopa Iyer – writes fiction based on Indian mythology. Her latest is Avishi. Sukhi Jutla – about to launch her business debut Escape the Cublicle. Andrew Lowe – writes fast-paced thrillers, most recently the well-received Savages. Roz Morris – a legendary writing teacher who creates genre-bending fiction with a touch of sci-fi. And now travel: Not Quite Lost. Stephen Marriott – writes about the journey of self-discovery on the Camino de Santiago. 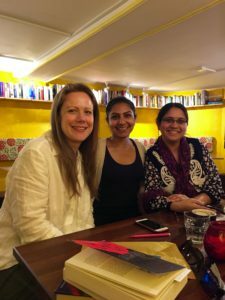 Safeena Chaudhry – writes mind bending literary fiction as well as organising readings of new writers in London bookstores for Novel London.